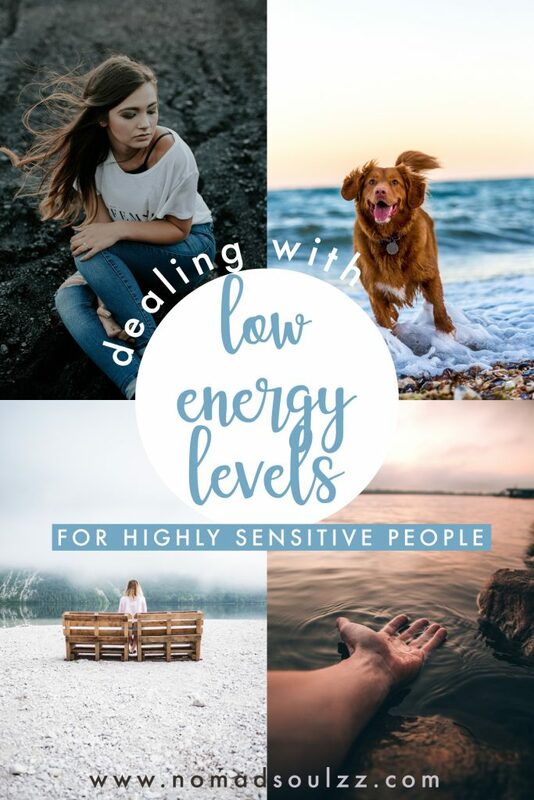 A lot of HSP’ers – aka the super awesome Highly Sensitive People – suffer from mental and physical fatigue, tiredness and overall low energy levels. Personally, I can feel pretty drained after a day being (over)exposed to external stimuli. From crowds, to work, to sometimes just doing groceries when it’s super busy at the supermarket… Resulting with very low energy levels and unable to engage in activities I wish I did have the energy for. Does this sound familiar? Phew, I’m not alone… And some good news too! 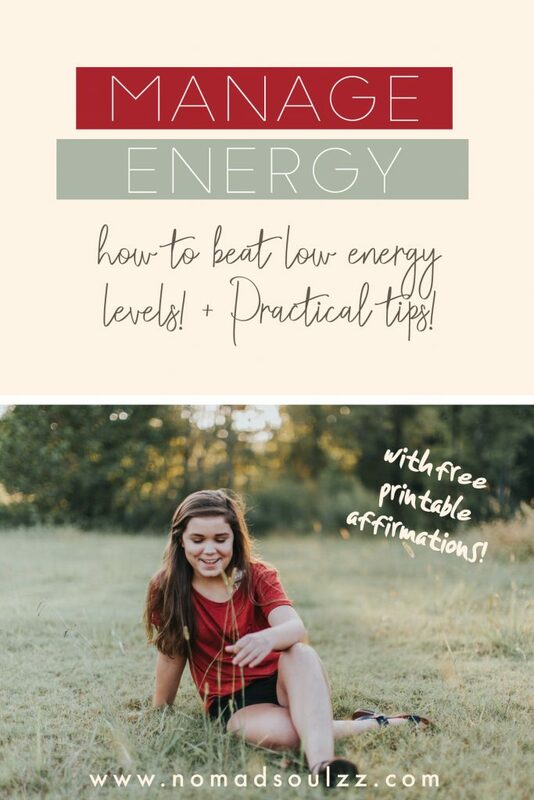 I’ve got some helpful tips and tricks to help you beat those low energy levels and feel more energized. 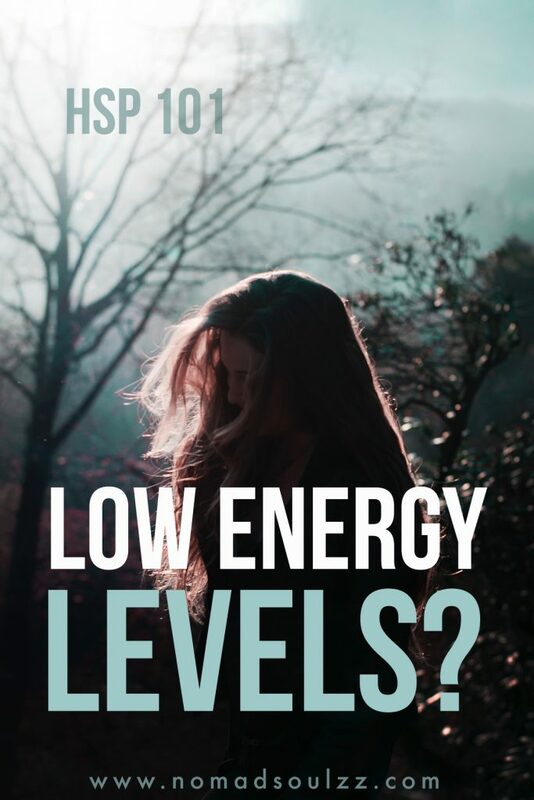 What is the root of your low energy levels? 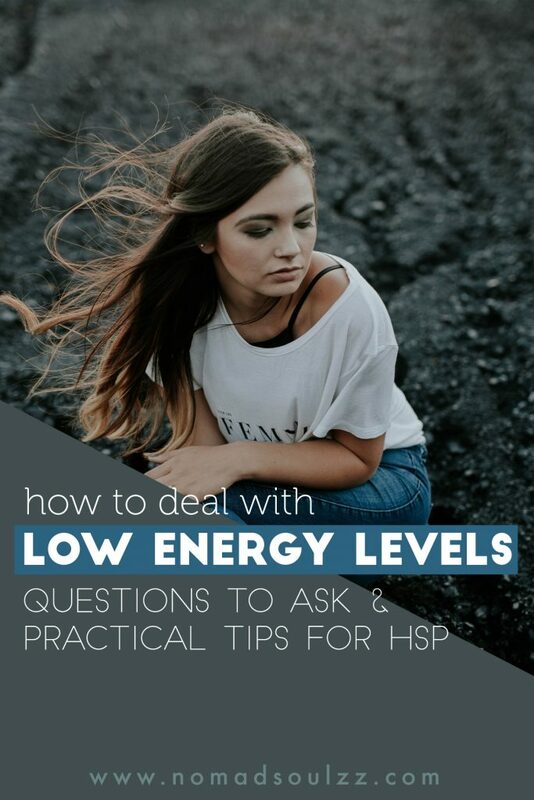 Research has proven that people with HSP absorb more information and that they process that information more intensively than a non-HSP’er. This is both on a conscious and unconscious level. This means it is possible that the exposure of information and external stimuli is too much for you, resulting in an overdose. And the overdose, in turn, results in an overwhelm. It all comes down to the given fact that you received too many triggers to digest. And we all know how that feels right…? The good news is, you can help yourself! 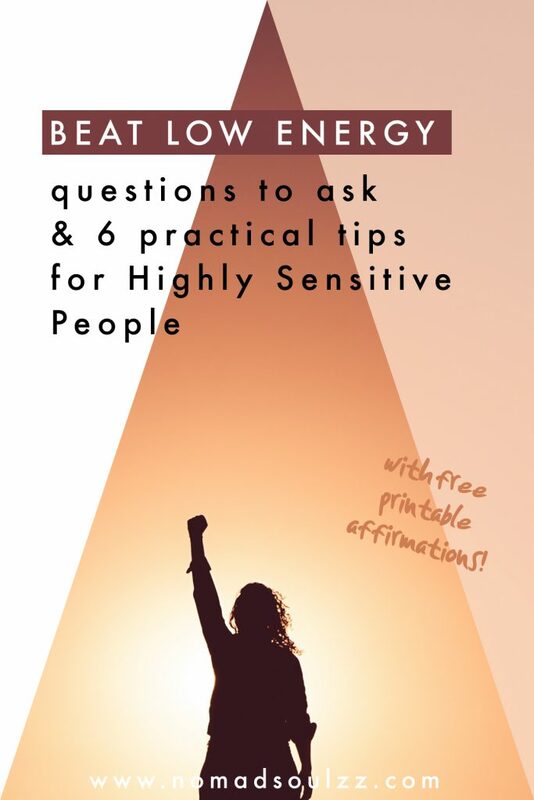 By learning how to manage your energy. By doing specific exercises with your attention and expanding your mindfulness you can control which information you allow to come in. Try to look at it as if we’ve all got our own personal fuel tank. And many things in life cost fuel (energy). Processing information costs fuel. 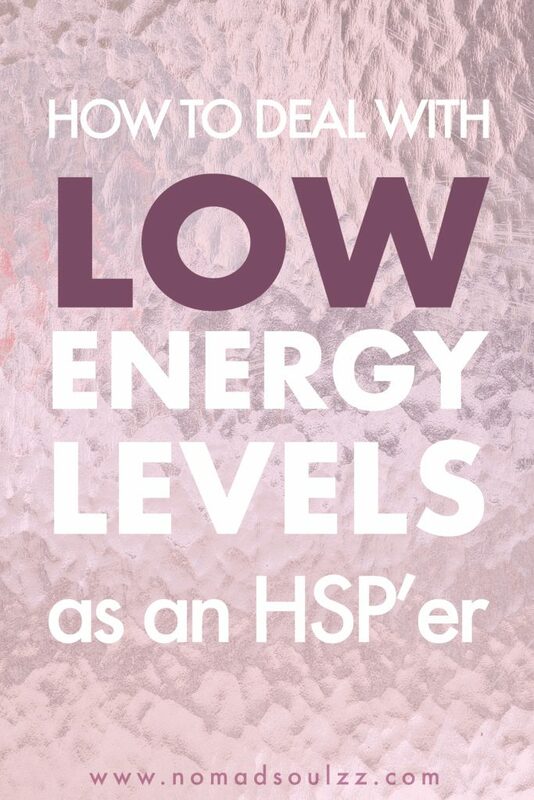 Being an HSP’er and therefore receiving more information means you use more of that fuel than a non-HSP’er would. Resulting in low energy levels. But what if this is only when we live our lives in the ”automatic-mode” instead of mapping the route out ourselves. Just like it costs more fuel to drive 120km/h than 95km/h, or that braking rapidly costs more fuel than slowing down gradually we too implement tools and strategies to even out our fuel tank and beat those low energy levels. Excited? Well, I certainly am! But first, we need to pinpoint what gives you energy (what’s your gas station?) and how much does your fuel cost? Others also enjoyed: A fundamental guide to travelling the world as a highly sensitive person. What costs you a lot of energy? This is a very important piece of the puzzle. 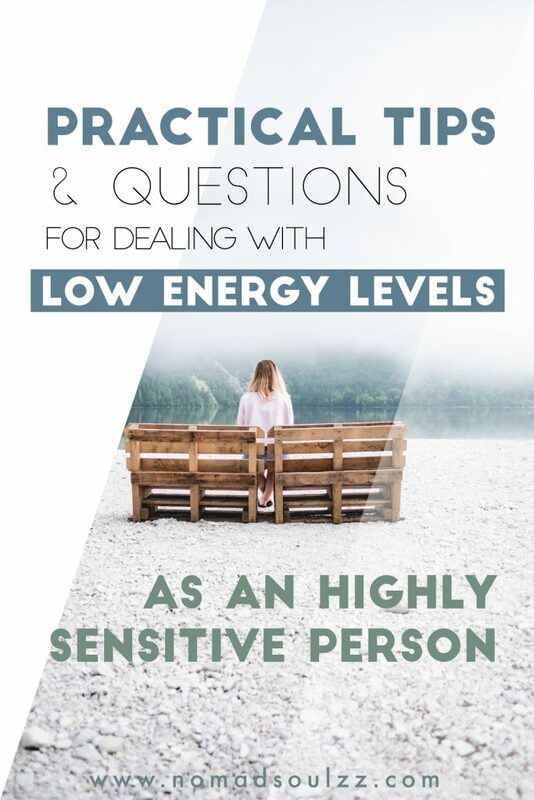 Recollect which activities, ventures or even people require a lot of your energy and that if you’re very honest with yourself you don’t really enjoy either… Is it possible to eliminate these situations? Or at least minimize the frequency of them? Don’t forget that you are allowed to live your life in your own terms and that it’s not others determining what you should or shouldn’t do. You don’t owe anyone. There is no need to please others. You are your best self if you take care of your own needs, that’s what you owe yourself. What recharges you? What gives you energy? Just like it’s vital to recollect what drains you, it’s just as important to note what energizes you. I mean, you can’t just keep driving a car without ever visiting the gas station… right? Which people, which activities, which hobbies do you really really like? What makes you happy and your soul smile? Note down what inspires you. 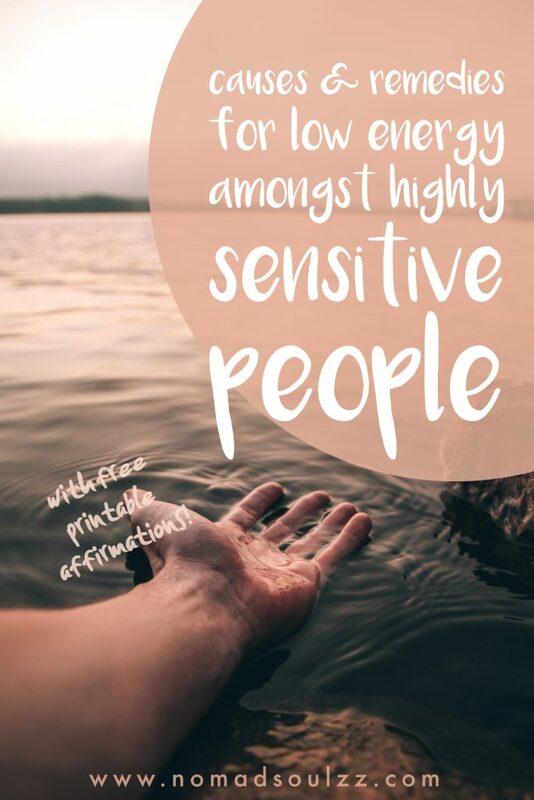 What makes you feel physically more on point? Is there something spiritual your involved in that makes you blissful? Make a list of your energy igniters and make sure to implement these activities in your schedule. The more you fill your life with energizing activities, the more energized you’ll be. Logic just like 1 + 1 = 2. What about the fun, yet draining activities? I have to be honest with you here and it’s very important you take this one in. 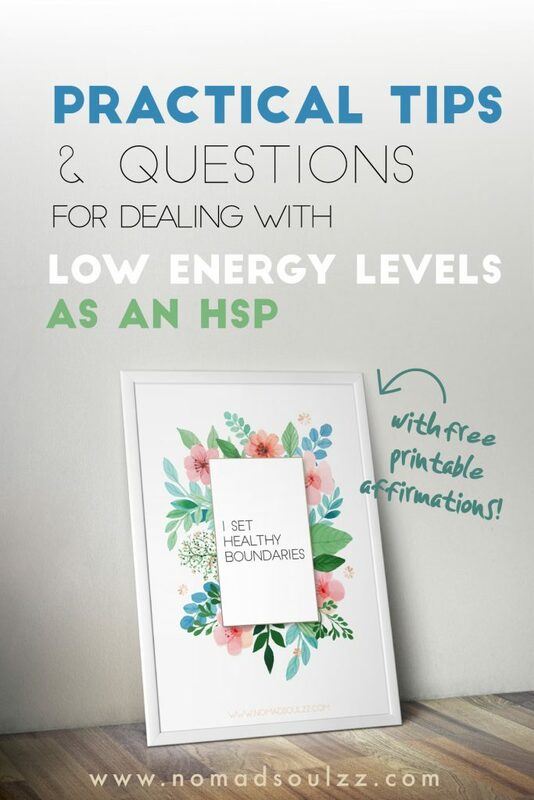 One of the biggest setbacks an HSP’er can do is avoid the fun, happy-making activities because they cost energy. We all have those things we love but they still drain us mentally. Maybe it’s a friend’s (or your own!) birthday party, visiting an art exhibition, window shopping… whatever it is. If you avoid doing something you enjoy because it costs you energy you are limiting your life. Besides that, if you’re gonna keep avoiding things to ”protect” yourself chances are you’ll only become more and more sensitive for triggers. I promise you, life is really more fun if you engage in activities that make you truly happy! If you know you’ll be tired afterward, schedule some extra time to rest and recharge. Why not subscribe to our mailing list and receive exclusive behind-the-scenes and the first updates?? 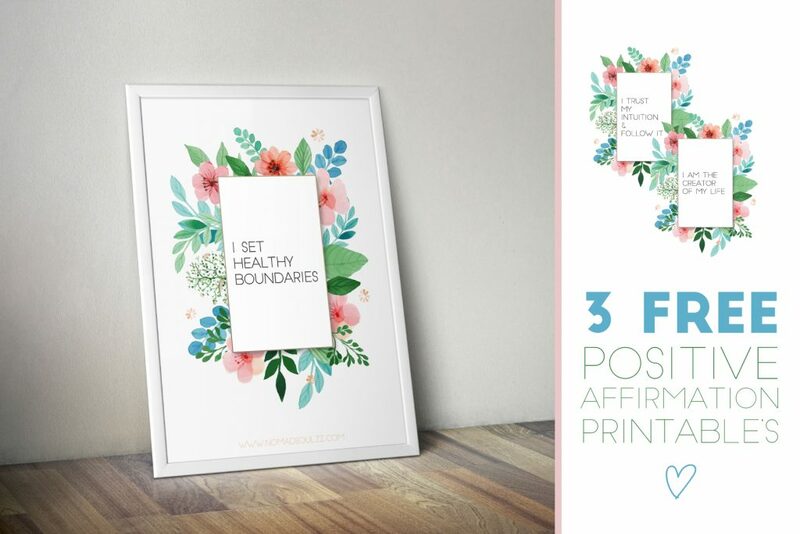 As a token of our appreciation, you will receive 3 positive affirmation printable’s specially designed for HSP’ers in your mailbox today! Write down what energizes you and costs you energy and become more aware of these factors. This will help you recognize them when they occur so you can prepare yourself accordingly. Also writing things down that makes you happy and ignite a feeling of gratitude is a great act of kindness towards yourself and recharges greatly. Prioritize activities that give you energy, minimize activities that cost you energy and don’t forget to include activities that are fun, yet make you feel tired. They charge you differently and make life worth living! 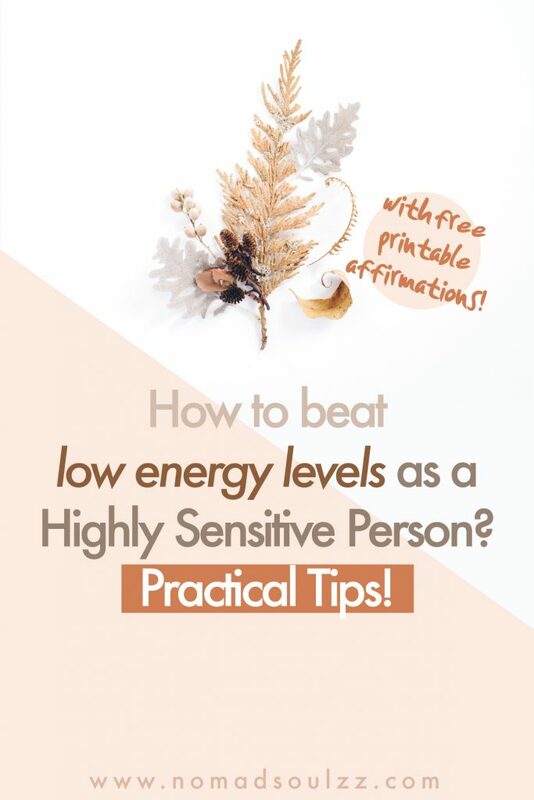 As an HSP’er we are naturally sensitive and pick-up information whether we like it or not. 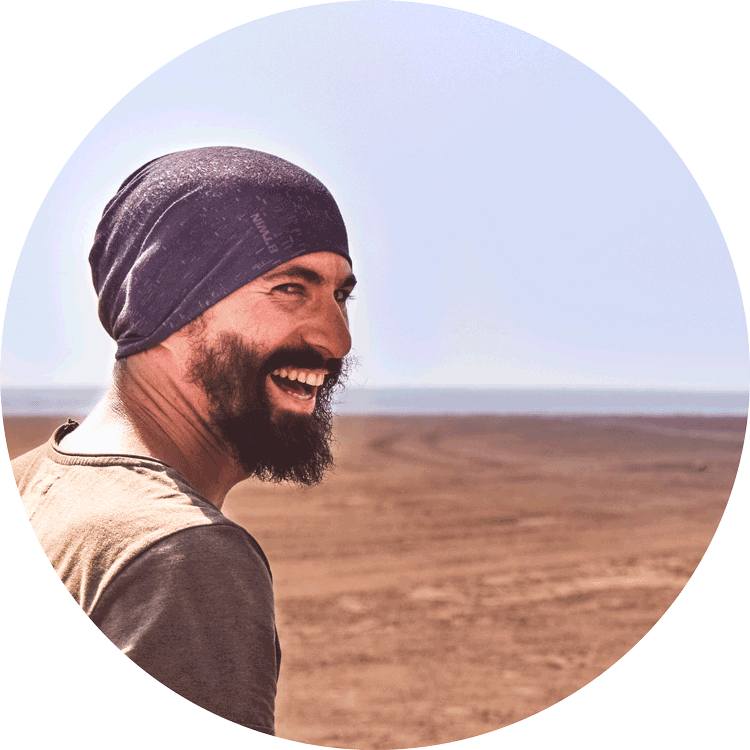 By practicing specific designed positive affirmations you can help yourself to stay more intuned with your own feelings than those of others. You can also utilize them ”in the moment”. For example, if you are in conversation with someone who is draining you speak to yourself internally ”I see you, but I feel myself”. 4 Take regular small breaks. In these short breaks – I would say 3 minutes or so – you allow yourself to reconnect with the moment. 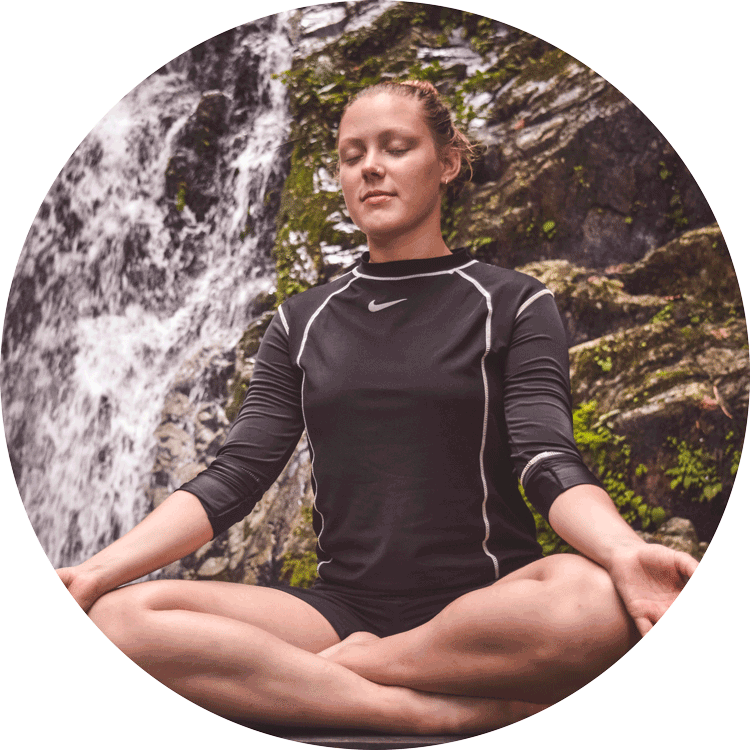 Take a few deep breaths and quickly scale your energy levels. Is it low? Remind yourself of things that make you happy or do something small that recharges you instantly (like sending a sweet message to a loved one, drinking a cup of tea by yourself, or closing your eyes for a couple of moment). 5 Scale down your energy field. Traveling and being on the go is one of those super draining activities for HSP’ers. With visualizations, thoughts, and images we can influence the energy field that is picking up the external information. Some people like to imagine a bubble of their own white light around them that protects them, others like to put on a mental ”jacket” (with the motion of zipping up) that closes them off. Find what works for you and don’t forget to open up once you’re in your safe zone (home) so you can let in the love of your friends and family. Being a mindful HSP’er is being a coping and happy HSP’er. Even though there are many ways you can be more mindful, I highly recommend meditation for highly sensitive people. The internal focus teaches you so much about yourself and when practiced regularly it can help you become calmer, energize you and help you distinguish your own energies from others. 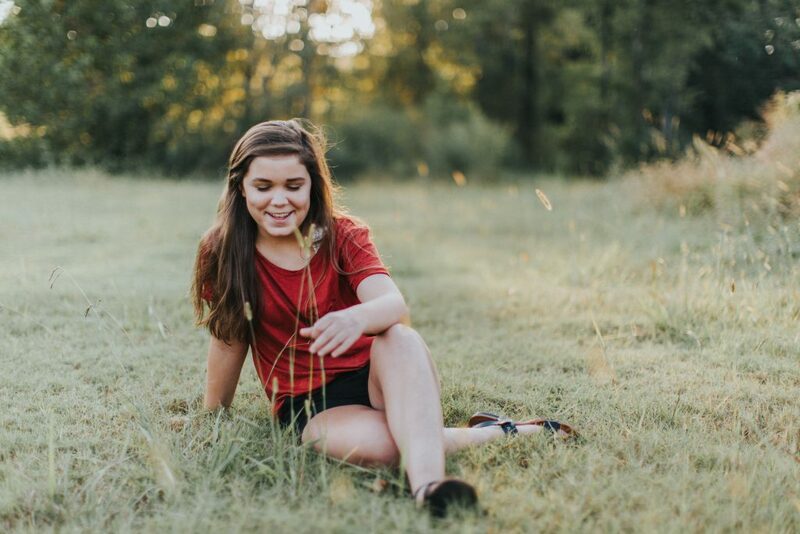 We truly hope these tips will help you feel more energized! Do you have a great tip to add to the list? Let us know in the comments below, so we can help each other out! And thank you for saving this post to your Pinterest boards! We really appreciate & feel the support! Ahhh!! You’re too sweet Laura!! Thank you so much for sharing the love, we feelzz it! Hi loura. I so so identify with you here. Thanks for the tips. they are great. love you.